Some birds nest on tree branches, shrubs, eaves, or porches. 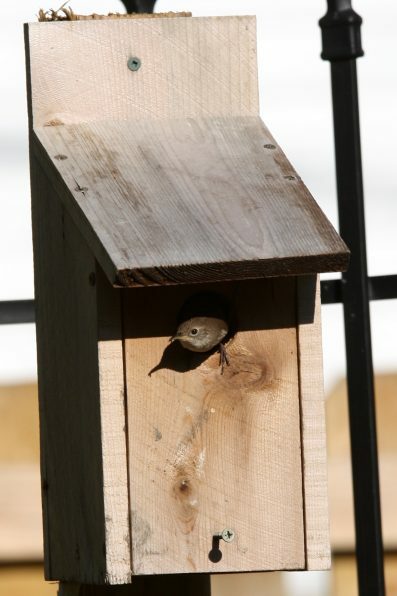 Other birds, called cavity nesters build in enclosures, such as a bird house, hollow tree, or fence post. Cavity builders are often short on options and running out of habitat. Bird houses, or nesting boxes, offer a valuable home for many bird species that may not have one. Add a birdhouse to your backyard to help declining species and to experience the joy that hosting birds can bring. Unfortunately, for many birds any old bird house will not do. 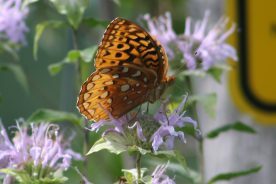 Most species have special preferences regarding size, features, and placement. Do not select a birdhouse based on appearances. Instead try to select a house based on the type of bird you wish to attract. 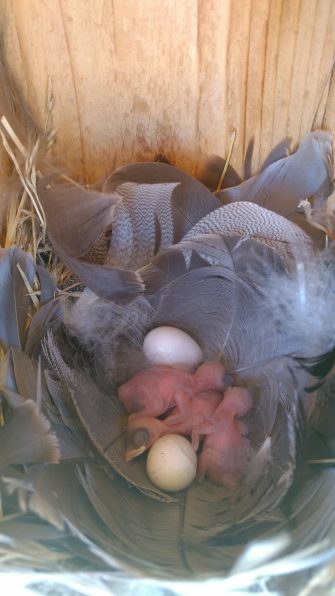 A good place to start is by observing the birds in your backyard and determining which birds nest in your area. The most common birds that nest in cavities are bluebirds, chickadees, woodpeckers, wrens, nuthatch, eastern screech owl, barred owl, wood duck, titmice, swallows, and purple martins. The size and placement of boxes for these species will vary. 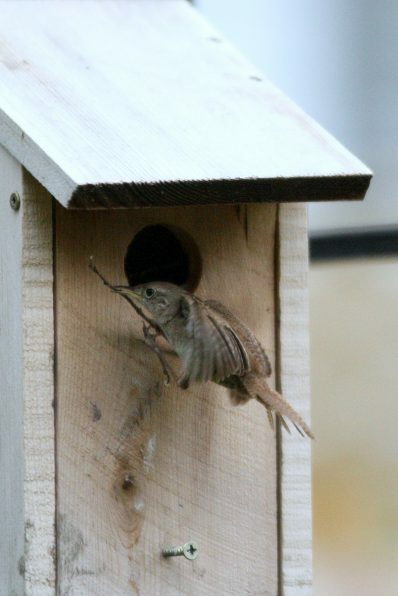 You can build your own or purchase an appropriate nesting box for the species you wish to attract. The size of the box and the entrance hole are going to vary among species. The most common entrance hole is 1 ½ inches as it accommodates most cavity-nesting songbirds. Songbirds are some of the most common backyard birds. This size will also keep out house sparrows and European starlings, two invasive, non-native species that compete with native birds. If either of these birds nest in your birdhouse you should evict them immediately. Other birds may require a smaller hole or larger, depending on the species. Bluebirds require an entrance hole that is 2 ¼ inches in diameter, for example. The inside dimensions of the box will vary by species. Smaller songbirds need a floor space of at least 4 inches by 4 inches and height of 5 inches. This will allow the birds to build a nest with room for the nestlings to grow. The height is measured from the bottom of the box to the bottom of the entrance hole. 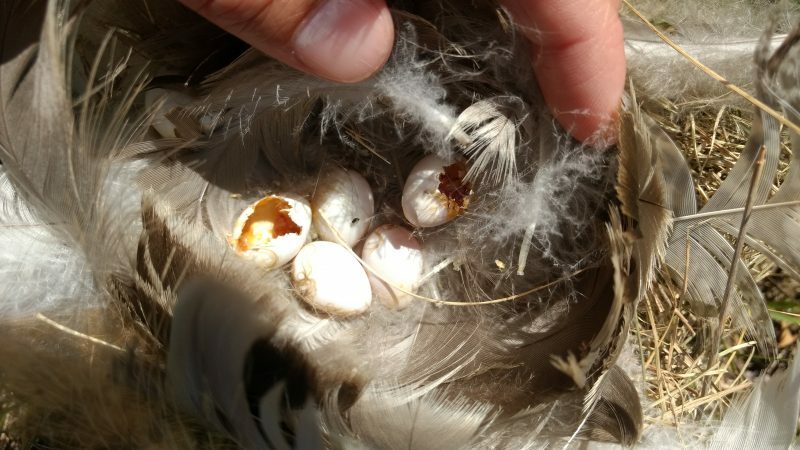 This is important to keep the eggs and nestlings out of reach of predators, such as cats and raccoons, that can reach in and scoop out the eggs if the height is too short. Bird houses should be well ventilated to offer relief from heat in the summer and thick walls to protect from cold in the winter. Ventilation should be a slit or opening at the top of one side to allow hot air to escape. Wood is the best material to use to offer insulation. It won’t heat up in the summer and will help the birds stay insulated in the winter. Walls should be at least ¾ inch thick. Try to avoid novelty birdhouses. They will most likely not attract anything. Avoid bright, unnatural colors as birds will not use them (they attract predators). Natural, unpainted, unstained wood is the best material for a birdhouse. The outside of the house can be sealed with a natural preservative such as linseed oil. Look for a house that is made from wood. It is a durable material, but also porous enough to allow moisture and heat to escape in the summer. Too high of temperatures inside the nest can cause damage to eggs and nestlings. Metal and plastic will get too hot. Do not get a birdhouse with a perch. Natural cavities, such as tree trunks, do not have perches so cavity nesters do not need a perch. They only make it easier for predators to get in by giving them something to hold on to. They can also invite invasive species to nest which should be avoided at all costs. Birdhouses should have drainage holes in the bottom to allow for water to drain and prevent mold and bacteria from growing. This will help keep the bird healthy. A roof with an overhang will protect the entrance hole from rain as well. As with all animals, cavity-builders have predators that may cause harm to the eggs, baby birds, and even adult birds. These include raccoons, snakes, squirrels, house cats, and house sparrows. 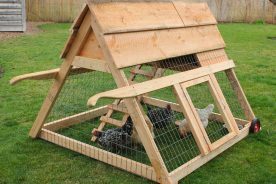 Selecting or building a house without a perch is a good place to start. Add a baffle to prevent squirrels, snakes, and raccoons from climbing the pole. Look for a house with a predator guard, which is a reinforced ring or piece of wood that fits around the opening. This will prevent raccoons from reaching in as it makes the opening too long. House sparrows can be scarred off with a sparrow spooker, strips of Mylar or ribbon attached to the top of the house, so they are unable to roost on the top of the box. The choice of materials is also something to consider when thinking of the safety of the birds. If the birdhouse is painted or stained be sure it is non-toxic. The location and placement of the birdhouse will, again, depend on the species you wish to attract. Bluebirds, for example, prefer houses in open fields with plenty of space. Chickadees, nuthatches and titmice prefer open woods and woodpeckers like forested areas. The species will also determine if the birdhouse should be placed on a pole or in a tree. Mount your birdhouse in the fall so the birds have plenty of time to locate it before breeding season. Mount the house with the entrance hole facing downward, slightly, to prevent rain from entering and be sure it is mounted securely so it doesn’t move in the wind. The size of your backyard will also determine how many birdhouses to add. The general rule is to not place more than 2 houses per species per acre. Birds can be territorial and if houses are too crowded they may not be occupied by the bird you are seeking and instead by a pest such as the house sparrow. To help keep your birdhouse clean look for a house that has a side or front opening. If the house does not open you will not be able to clean out the old nest and the house will not be useable the next season. When breeding season is over, usually late summer to early fall but may vary depending on species and your location, it is a good idea to clean your box. Remove the nesting material and scrub the house with a bleach solution of one part bleach to nine parts water. Rinse and let dry in the sun. For birds that produce multiple broods per season, such as the bluebird, it is a good idea to remove the nesting material between broods. Make sure the new birds have left the nest completely before you do this. When you remove the nesting material between broods be sure to dispose of it well away from the birdhouse. If you leave it on the ground near the box it will attract predators. Once the house is clean at the end of the season replace it on the pole or tree and leave it there for the winter. Other birds may use it to roost. Keep the side of the box open to prevent mice from nesting over the winter. 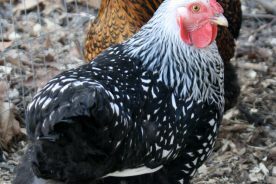 Do Your Backyard Chickens Need a Tractor? It was interesting to me to learn that the placement of your birdhouse generally dictates what species of bird will be attracted to it. You mentioned that bluebirds like open spaces where as other species like forested areas. I’ll be sure to take this into consideration when I decide on a location for a birdhouse I’m looking at getting.